Does the system outlined in "Racing Horses" Work? Take out Provideo and Timeless Times as anomalies  still 232 runners, 114 winners, 1117 starts for 227 wins (20.3%) and 315 2nd and 3rd. (ITM48%). "2y.o. races won to runners" ratio still almost exactly 100% over 14 years. Given the length of the experiment, it appears that the "Racing Horses" system works as far as training juveniles is concerned. Did this system compromise their chance of success as three year olds? As a matter of interest the majority of these horses did buck their shins, but we were careful enough that they did not run or work when sore and they never had any ongoing problem. 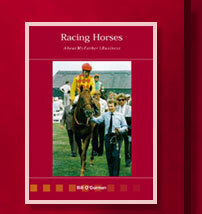 Timeform ratings are included to demonstrate that many of them maintained a similar or higher level of performance at three although the programme book provided them with far few realistic opportunities for success due to penalising their juvenile achievements.